Posts with images get double the engagement. That means more click throughs, more likes, more shares and comments. 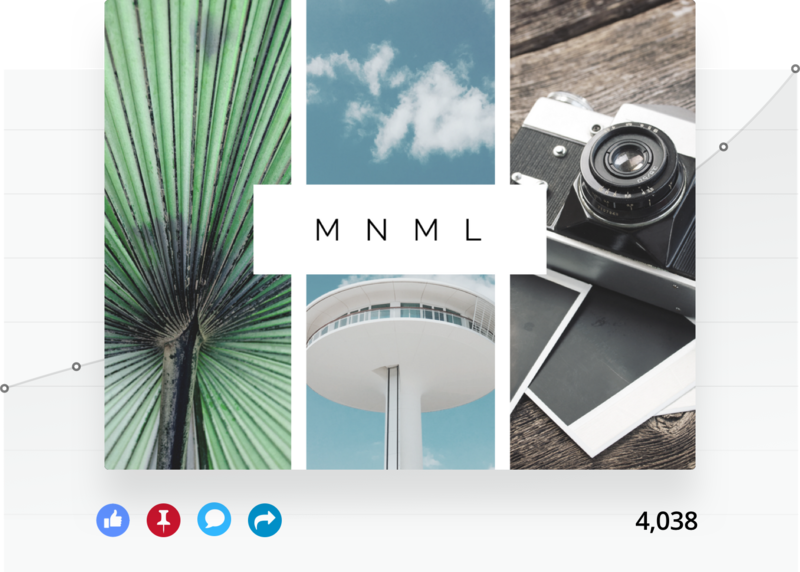 With Canva Schedule, anyone can craft stunning images—in minutes!—and share them with the world. So you can boost your following and streamline your workflow with one handy tool. 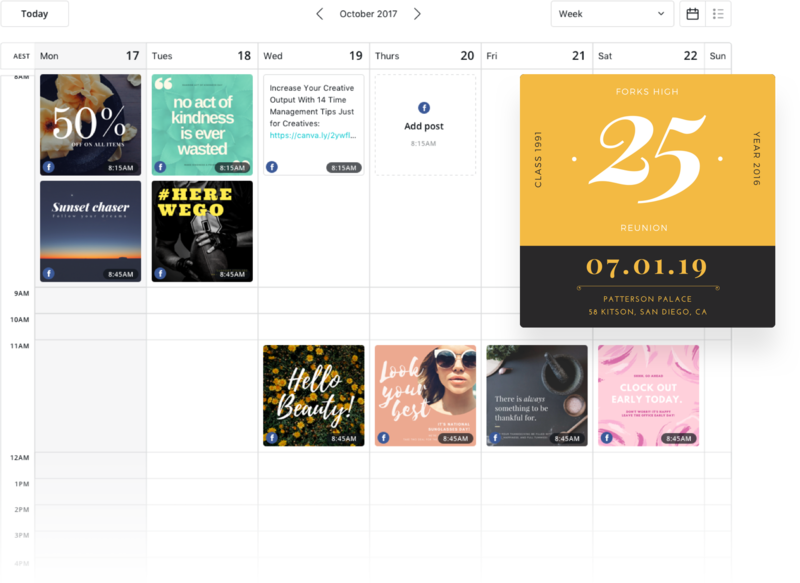 Schedule your posts hours, days or weeks in advance—Canva Schedule will automatically post them according to the plan you’ve set. You get to stay in control of a growing social media presence while freeing up time to concentrate on growing your business. 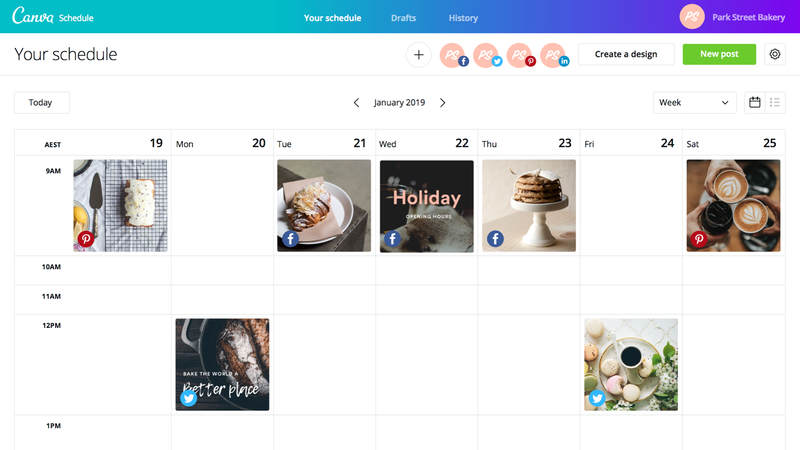 Create and manage your entire social media strategy with our simple, elegant calendar view. 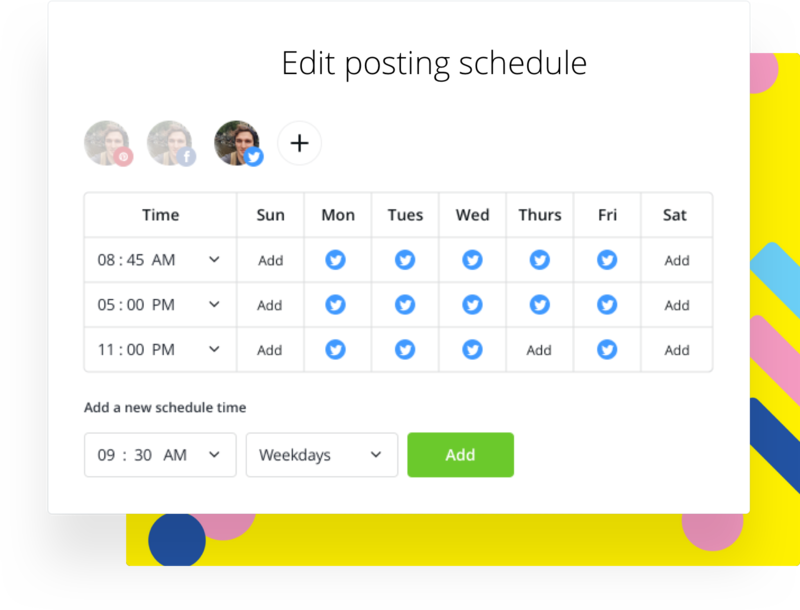 Manage every platform in one convenient place: post to Facebook, Instagram, Twitter and more. Create your own post, set a time, then put your feet up while the post goes live automatically. Set, queue, forget! Choose regular posting times and never leave your audience waiting. Got an idea that can’t wait? 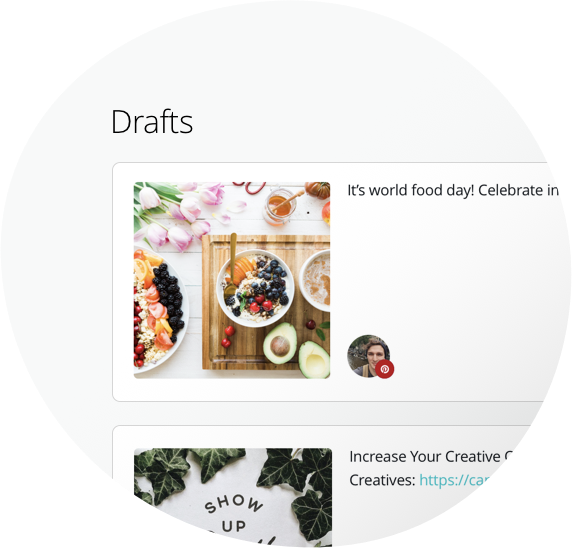 Post to any of your accounts from Canva Schedule. 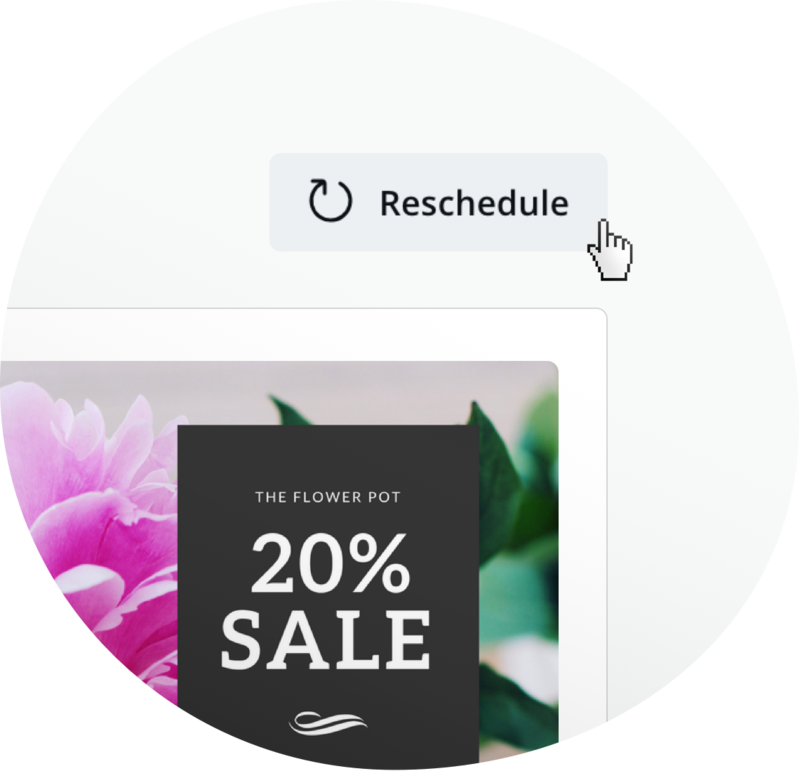 All of your posts are saved in History, so you can quickly reschedule your most engaging content in seconds. Got a great idea for a post, but it’s not quite ready to be shared with the world? Save your inspiration for later in your Drafts folder.